Polish Ambassador to the United Stated, Hon. Robert Kupiecki, comes to Portland to honor Mr. Jerzy Tumaniszwili with a promotion to Rear Admiral of the Polish Navy. Adm. Tumaniszwili, 92, is a distinguished WWII veteran, decorated with Virtuti Militari and other orders. He served on the Polish Navy ships (ORP) Burza, Krakowiak and Piorun. Adm. Tumaniszwili lives in Beavercreek, OR, and has had many connections to the Polish community in Seattle. The book for the meeting is Po sniadaniu by Eustachy Rylski published by Swiat Ksiazki in 2008. Po sniadaniu is a collection of seven intimate essays about literature - books and writers who fascinated the author. Eustachy Rylski is a contemporary writer, playwright and screenwriter. The book can be bought on the Internet or borrowed from Club members. Club meetings are in Polish. This is the 12th European Festival in Barnaby, BC, between the Canadian border and Vancouver, BC. It features exceptionally strong performance program with a big variety of ethnic folk groups (including Polonez from Vancouver, BC) from 10 am till 8 pm and also exhibits about participating countries, lots of ethnic food, beer garden, arts & crafts and children activities. Organized by the EuroFest BC Society. This becomes a tradition: the Polish School in Seattle organizes a local Polish language camp over the Memorial Day weekend. Children as well as teenagers up to 15 years old can participate, you can also go as a whole family. The program includes language exercises and games, bonfire and more. Where: at the Cascade Camp & Conferene Center in Yelm, WA; price $64 for children 5-11, $124 for parents and teenagers, $33.75 for younger kids; includes 2 nights and meals; for reservations please contact Ms. Anna Babcock, tel. 206-362-3077. A special screening on May 15 (see below) includes historical intro and discussion. The 2008 Oscar nominee Katyn (2007) is a moving reconstruction of the Soviet mass murder of Polish military and intellectual POW elite during WWII and its shattering effect on live and politics in post-war communist Poland. Directed by Oscar winner Andrzej Wajda. Polish Scout (ZHP) Troup Kaszuby invites to a Mother's Day celebration at the Polish Home. The program includes performance by the Polish Choir Vivat Musica and poetry recitation by the scouts; coffee & tea as well as pastries and cakes will be served. Separately, the Polish Home restaurant is open from 1 pm to 4 pm as is usual on Sundays. The Seattle Public Library invites to Polish Folk Extravaganza. The program includes concert of lively Polish folk songs by the Polish Choir Vivat Musica directed by Anna Sawicki and a performance of Cracovian and Silesian dances by a youth group Mlodzi Polanie directed by Barbara Strutynski. This event has been cancelled as the Polish community mourns Piotr Pawluskiewicz, who died recently. This is a special screening with a historical introduction by Prof. James Felak of UW History Department, and also with a Q & A session after the movie with Prof. Felak and Dr. Christina Manetti. The 2008 Oscar nominee Katyn (2007) is a moving reconstruction of the Soviet mass murder of Polish military and intellectual POW elite during WWII and its shattering effect on live and politics in post-war communist Poland. Directed by Oscar winner Andrzej Wajda. Co-presented by SIFF, SPFF and UW PSEC. Mr. Kwiecien is a young Polish baritone who returns to Seattle to sing in Marriage of Figaro at the Opera. Please see another note on this page for info about that performance. The reception is a fundraiser organized by the UW Polish Studies Endowment Committee to support Polish Studies at the University of Washington. It's the annual pierogi (Polish dumplings) extravaganza that includes several different kinds of pierogi: meat, potato & cheese, blueberries, plum etc. 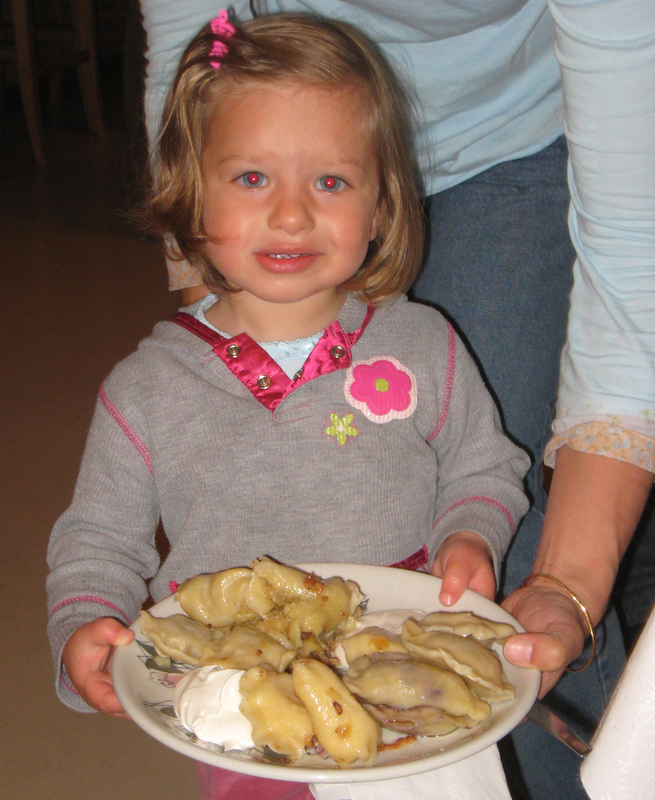 Free attractions include: song and dance performance, craft workshops (make your own pierogi! ), animation movies & children activities. You can eat leisurely, listen to Polish music and have a good time. Also available: beer, wine as well as coffee, soft drinks and homemade deserts (not included in the admission price). Polish Book & CD sale goes at the same time along with Bric-a-Brac sale. Volunteers needed in a variety of positions! Used book and CDs needed for the book sale; bric-a-brack anything wanted, too! Please help making this a fantastic event by volunteering and by donating items to the sales - just bring them in to the Polish Home on Friday or contact Martha Golubiec (206) 935-7535. This event that is a part of the Pierogi Fest features usually a lot of new and second-hand books and albums in Polish, bi-lingual or in English on Polish topics as well as Polish CDs and DVDs - most at very affordable prices! More: Polish Home asks for donations of books, CDs and DVDs for the sale. Please bring them to the PH on Friday night and leave them at the gate or call Martha Golubiec (206) 935-7535. The Polish Home invites to a screening of the movie Three Buddies / Trzech kumpli directed by Ewa Stankiewicz and Anna Ferens and to a meeting with the co-directors. The movie (2008, 106 min) tells a true story of three dissident buddies, one of them Staszek Pyjas, and their different fates in 1970s Poland and later; it has won several awards including a Polish Pulitzer for 2008. The 3rd of May celebration at the Polish Home marks the anniversary of the first Polish constitution, which was enacted on May 3, 1791. The program includes performances by students of the Polish School in Seattle, the youth group Mlodzi Polanie and the Polish Choir Vivat Musica. The restaurant at the Polish Home is open from 1pm to 4 pm as usual on Sundays. Mr. Kwiecien is the brilliant Polish baritone who returns to Seattle to sing as Count Almaviva in Mozart's Marriage of Figaro at the Seattle Opera. Every visit of Mr. Kwiecien to Seattle is a triumph; not only did he sing to rave reviews, he also won the Seattle Opera Artist of the Year award for the 2006/2007 season for his Giovani, so don't miss him! Kazimierz Poznanski is a professor at the University of Washington, a painter with exhibit in China and Canada and an art collector with interest in Chinese art & culture. His exhibition North End Lands at the Kobo Gallery in the International District features about 15 paintings made with traditional Chinese paint on a rice paper. Where: at the Kobo at Higo Gallery; admission free. The exhibition is open from April 10 till May 16, 2009.